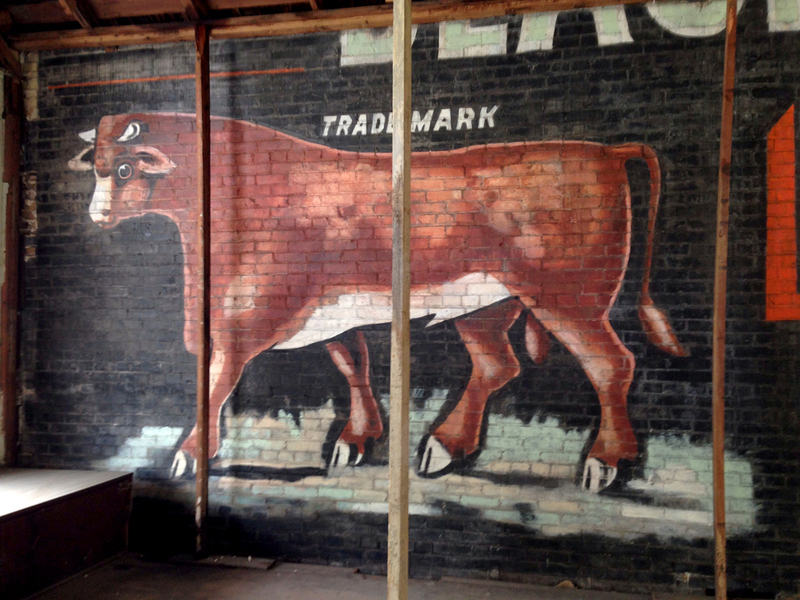 While searching for inspiration relating to a freelance project, I stumbled across the image above (by Molly Block) of an original “Bull” Durham Tobacco billboard dating back to the 1890-1900’s in Goliad, Tx. What’s remarkable about this particular billboard is that until 2013, it has covered and not seen by the public for over 100 years (thus explaining its excellent condition). 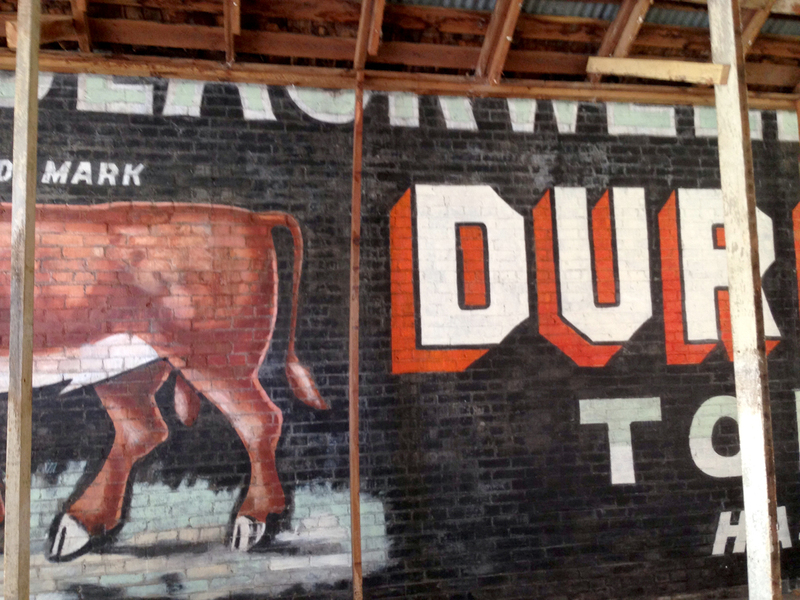 Normally ads from the period are called “ghost walls” as only the white letters remain due to sun/weather exposure. 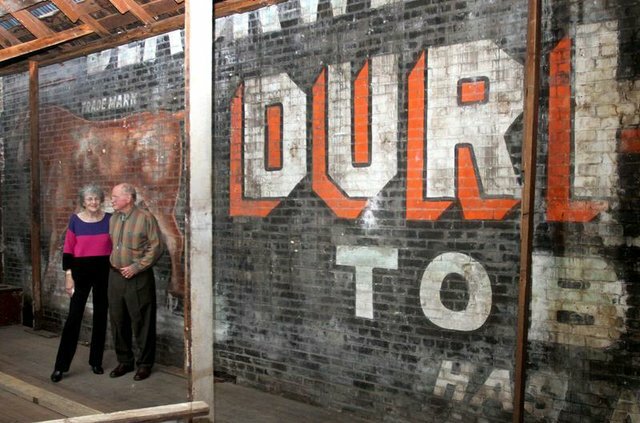 The story goes that Patsy and Scott Light bought the Troy Cleaners building in auction and discovered an old Durham Tobacco advertisement behind a wall of Sheetrock as they prepared the building to be demolished. ” … as the couple began removing the Sheetrock from inside Troy Cleaners, they realized a treasure was hidden within the walls. “We came in and there was a hole in the Sheetrock” and Scotty Light thought he had seen part of a bull, Patsy Light said. “So he kept on going. He had a hammer and I had a crowbar and we just kept going and we discovered it.” Under the Sheetrock, they found a massive bull painted onto the exterior wall of the Goliad County Library, which was also the interior wall of the cleaners. Patsy and Scott Light (above). 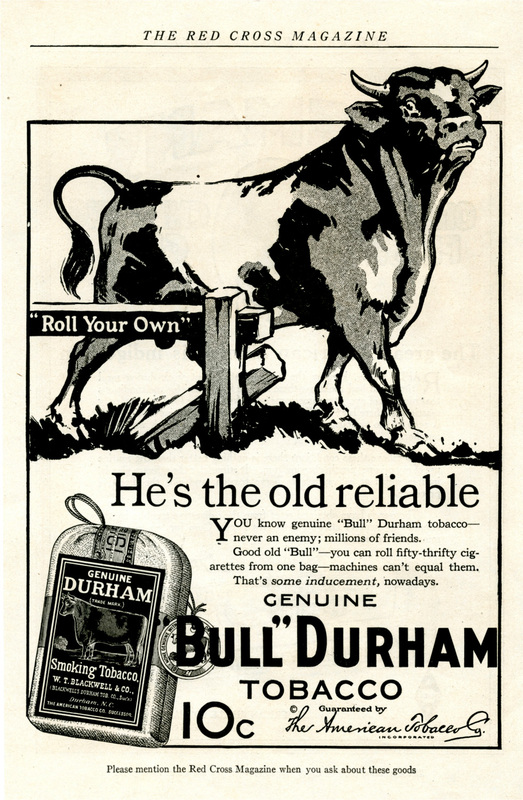 I absolutely love the old-style typography and the bold/graphic look of the ad. 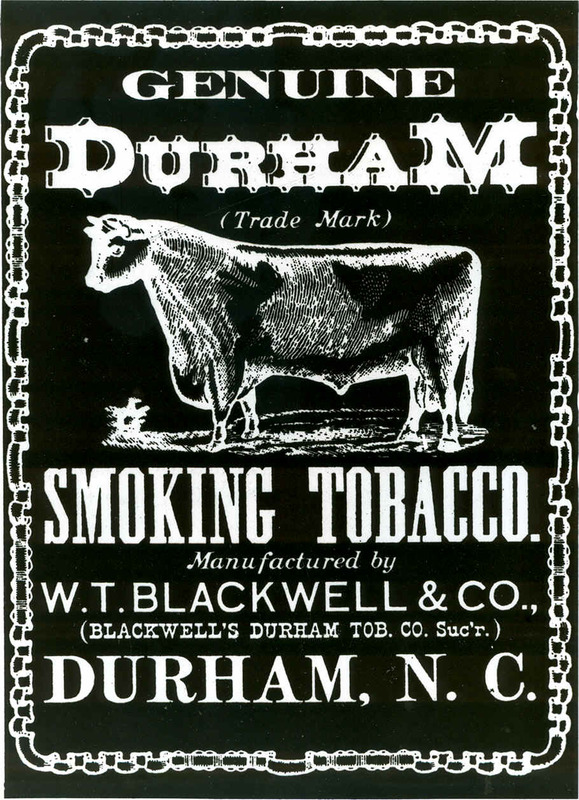 As someone that grew up in the Raleigh-Durham area, I love finding new pieces of North Carolina history, especially history from a graphic design/typographic angle! How cool right? 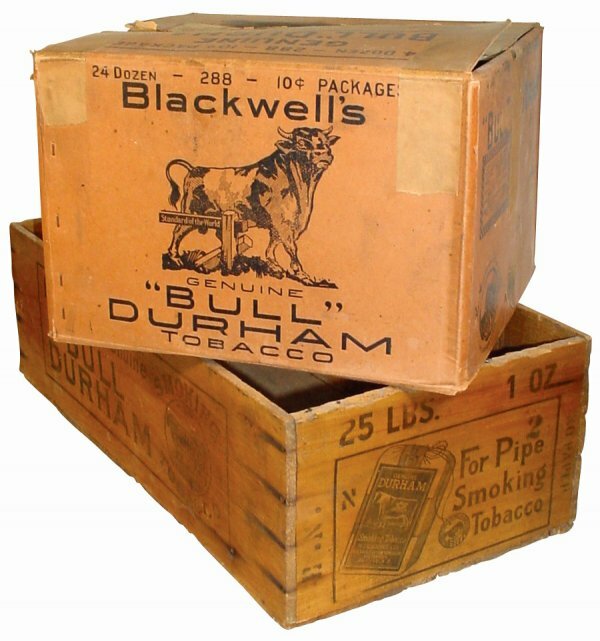 Growing up in Raleigh, Durham always had a bad rap, but their downtown is home to several huge brick tobacco factories dating back to the 1800s-early 1900s. Today mary are being converted into loft-style apartments and mixed-use developments. If I still lived in NC I’d definitely love to call downtown Durham home. 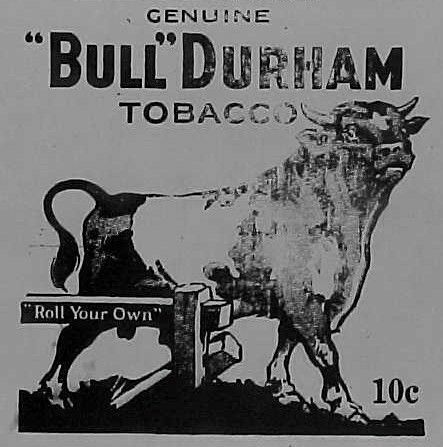 Finding this buried treasure inspired me to find more “Bull” Durham stuff from the period, so I’ve collected a few more images below. 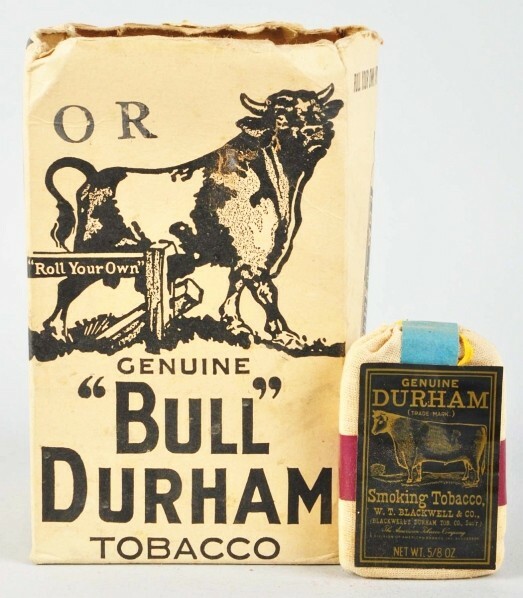 Vintage “Bull” Durham Tobacco packaging (above and below). 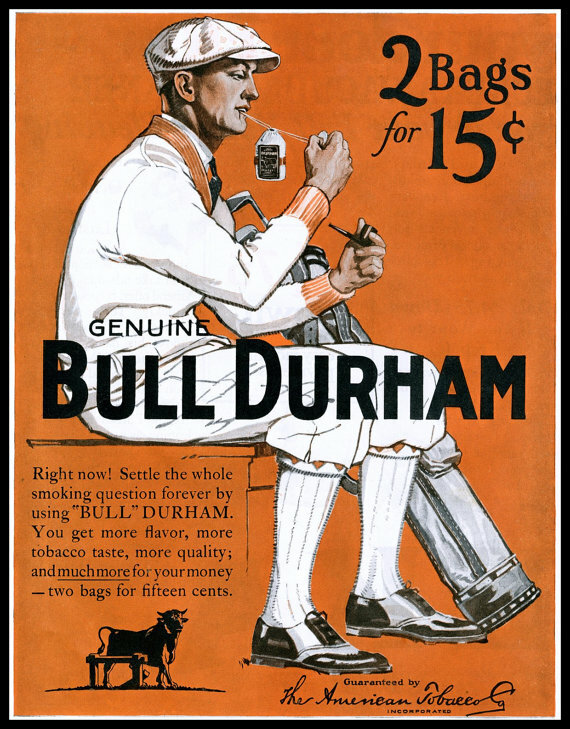 Vintage “Bull” Durham Tobacco ads (above and below). 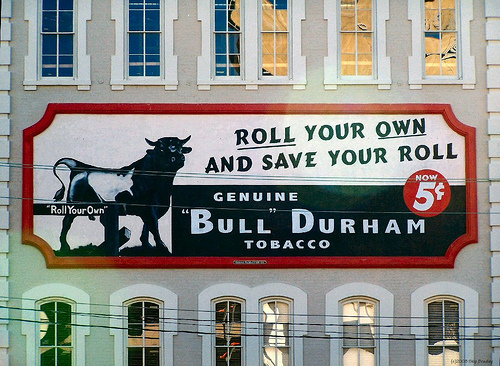 Restored “Bull” Durham Tobacco billboard today. 1870’s shot of W.T. 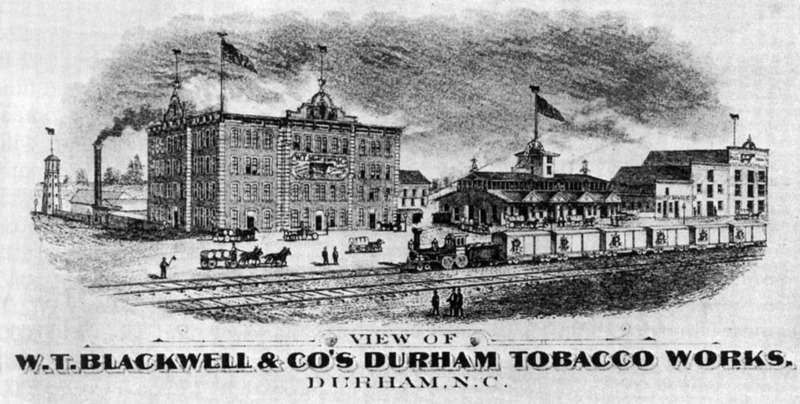 Blackwell & Co’s Durham Tobacco Works complex (above). Pretty cool right? 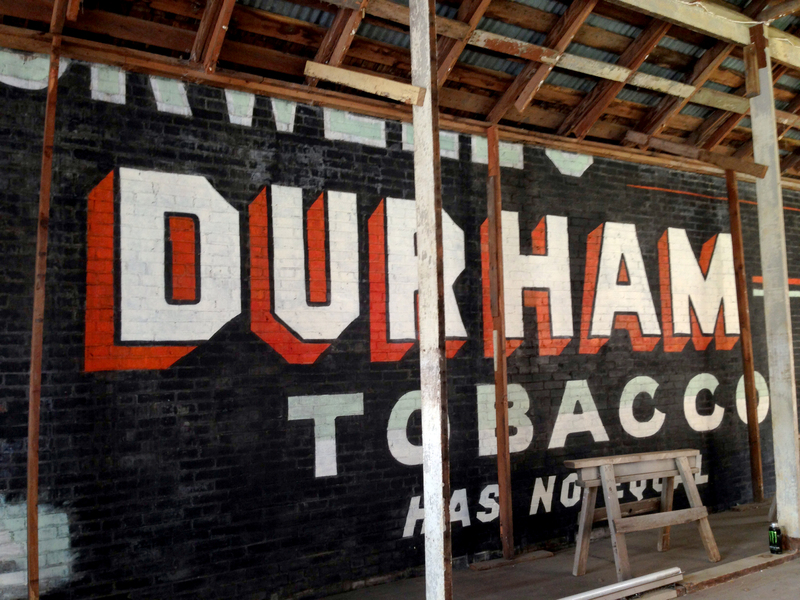 Now if you want to get you hands on an modern day Durham gear, check out Durham City Goods. 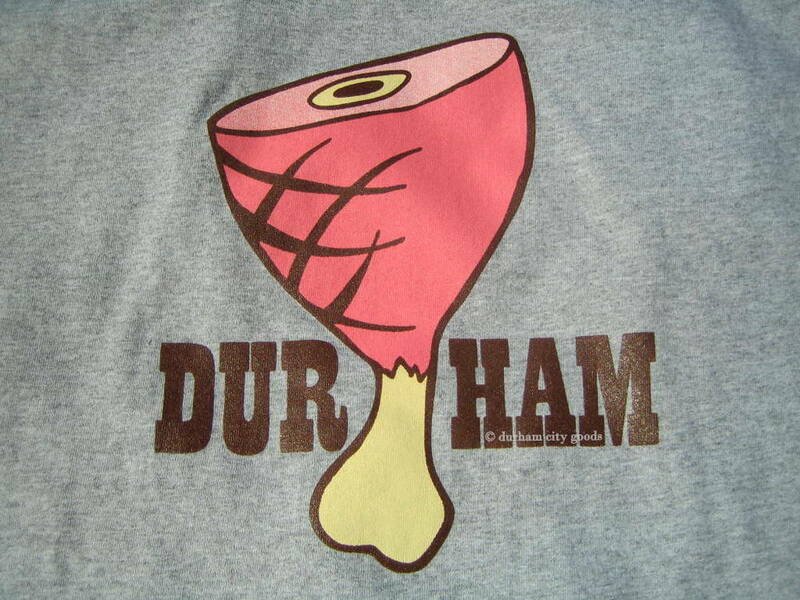 Lots of cool shirts inspired by Durham’s history. My favorite shirt is below. Get into it yall. I’m glad you came across the photos from Goliad that I posted on Flickr. Thanks Molly – thought your photos were super cool, especially for a designer like me from the Durham area. Great find! Thanks for sharing! Love those ghost billboards/ads.